As Canadians purchased and leased more new vehicles in April 2016 than at any prior point in the auto industry’s history, the top-selling premium brand automobile in Canada likewise sold more often than at any point in the model’s seven-year history. 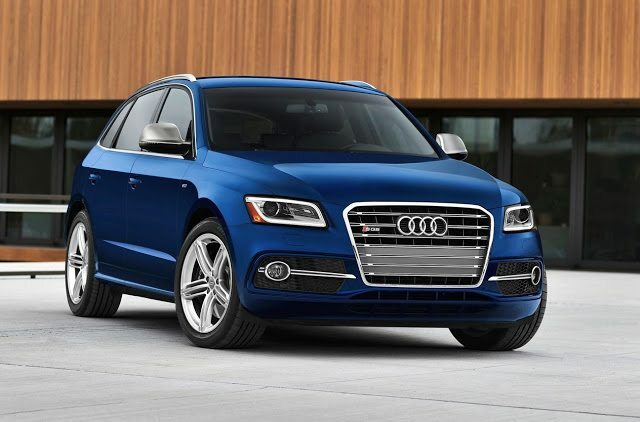 Audi Q5 sales rose 0.4%, or four units, to 908 Canadian units in April 2016, tops among all vehicles in the luxury spectrum. In the best-ever month for the Lexus brand, Lexus’ top-selling RX jumped 45% to 869 units in April 2016, second only to October 2014’s 885-unit RX performance. The luxury sphere isn’t chock full of good news stories, however. 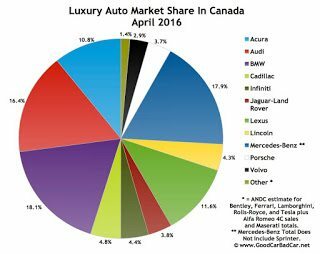 Canada’s favourite premium brand passenger car nameplates – Mercedes-Benz C-Class, Audi A4, BMW 3-Series/4-Series – all posted declining sales in April 2016. 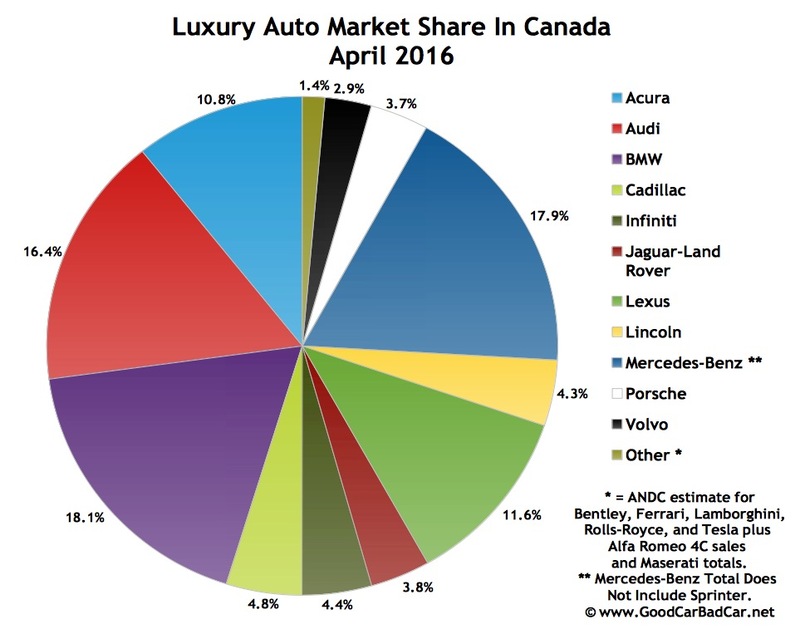 In the case of the C-Class and 3-Series, the two top-selling luxury cars in Canada so far this year, April volume was down by nearly 500 units. South of the border, their story wasn’t dissimilar. Combined sales of the C-Class and 3-Series plunged by more than 3200 units. ^ Mercedes-Benz Canada’s figures combine the E-Class with the CLS and the GLE-Class with the M-Class and the GLS-Class with the GL and GLC with the GLK.